(Gibson) The latest collaboration between rock legend Neil Young and famed director Jonathan Demme has a release date. Neil Young Journeys will hit theaters starting June 29, via Sony Pictures Classics, according to Ultimate Classic Rock. Heart of Gold (2006) and Neil Young Trunk Show (2009), Journeys was filmed toward the end of Young’s 2011 solo tour. 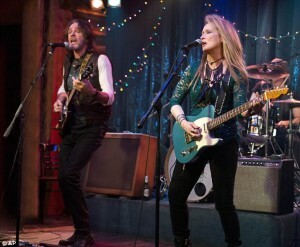 In the movie, the Rock and Roll Hall of Famer travels from his hometown of Omemee, Ontario, Canada to Toronto, where he’s booked to play two shows at Massey Hall. During the trek, Young “reminisces about childhood friends and talks about how the surroundings have changed over the decades while rolling toward Toronto in a 1956 Ford Crown Victoria,” according to the Los Angeles Times. Although fans can check out Heart of Gold on DVD, Trunk Show has yet to be released for home audiences – a situation that Demme said he’s hoping to remedy. The latest collaboration between rock legend Neil Young and famed director Jonathan Demme has a release date. 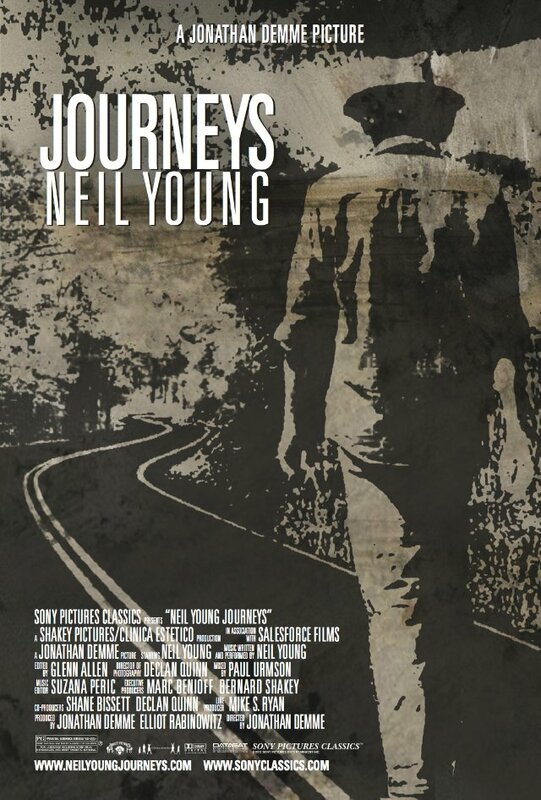 Neil Young Journeys will hit theaters starting June 29, via Sony Pictures Classics, according to Ultimate Classic Rock. Following on the heels of Neil Young: Heart of Gold (2006) and Neil Young Trunk Show (2009), Journeys was filmed toward the end of Young’s 2011 solo tour. In the movie, the Rock and Roll Hall of Famer travels from his hometown of Omemee, Ontario, Canada to Toronto, where he’s booked to play two shows at Massey Hall. During the trek, Young “reminisces about childhood friends and talks about how the surroundings have changed over the decades while rolling toward Toronto in a 1956 Ford Crown Victoria,” according to the Los Angeles Times. Neil Youngand filmmaker Jonathan Demme will hold court Sunday at the Slamdance Film Festival in Park City, Utah, where they’ll conduct a master class session about their latest collaborative music documentary, “Neil Young Journeys,” following its U.S. premiere screening Saturday at the festival. The film follows Young on the trek from his hometown of Omemee, Canada, to Massey Hall in Toronto for the final two shows of his 2011 solo world tour. The Rock and Roll Hall of Famer reminisces about childhood friends and talks about how the surroundings have changed over the decades while rolling toward Toronto in a 1956 Ford Crown Victoria. The “Journeys” program will be preceded by the first screening of a 13-minute mini-documentary Demme shot in October of an Occupy Wall Street drum circle gathering. The 2012 Slamdance Festival, highlighting works from independent filmmakers, runs Friday through Jan. 26. Special events also include a screening Tuesday of “With Great Power: The Stan Lee Story,” about the pioneering comic book artist from directors Will Hess, Nikki Frakes and Terry Dougas. The film screening will be preceeded by a morning master class session with Lee and Hess. by -- Neil Young in \"Waging Heavy Peace\"